After occupying Chrysler’s Dodge Main complex for over two weeks workers, confident of victory, march out singing Solidarity Forever, 1937. This past May marked the 80th anniversary of the founding of the United Automobile Workers in Detroit in 1935. Less than two years later this young, militant union made history, winning its first union contract with General Motors. The 44-day Flint sit-down strike, which forced GM to do what it said it would never do — recognize the UAW — is one of the most famous events in U.S. labor history. The 1935 National Labor Relations Act mandated that exclusive bargaining rights be granted to one union if a majority of workers chose that union to represent them. But employers were flouting the law, keeping their fingers crossed that the U.S. Supreme Court would rule any day that the NLRA, known as the Wagner Act, was unconstitutional. 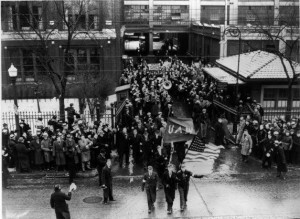 Faced with Walter P. Chrysler’s intransigence over the demand for sole bargaining rights, the union launched the occupation. On March 8, 17,000 Chrysler workers occupied eight Detroit-area plants, idling the entire workforce of 65,000. The workers even went a step further, taking over the switchboard and executive offices, forcing the big bosses to relocate to the Buhl office building downtown. The UAW thinned its ranks to 6,000, a more manageable army to feed, while retaining possession of all the plants. On March 12, the company obtained a court injunction ordering the sit-downers out of the plants. 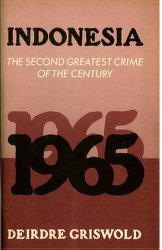 Arrest warrants were issued for every one of the 6,000 occupiers, and every one of them was fired. How did the workers respond? “We will sit until Hades freezes and flows over for sole bargaining rights” read a statement from the Dodge Main Strike Committee. After 16 days Chrysler agreed not to restart production until an agreement was signed. 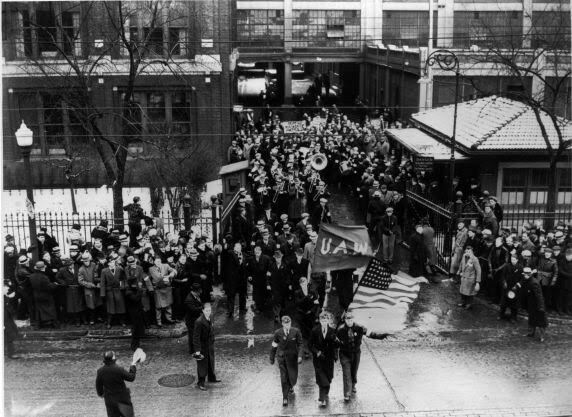 After the workers agreed to leave the plants and the offices, they marched out, led by a union band playing “Solidarity Forever.” On April 7, the UAW, claiming victory, ended the strike. The first contract between the UAW and Chrysler lacked the specific words “sole bargaining agency.” What the union did wrest from Chrysler was a written commitment not to bargain with any group that would undermine the UAW. For all intents and purposes the Works Council — the company union — was dead on arrival. The capitalist elite were flummoxed when, later that year, the Supreme Court surprised court watchers and upheld the Wagner Act. By seizing control of factories, restaurants, stores, relief offices and other workplaces workers won the right to collective bargaining. The high court merely upheld on paper what the workers had already accomplished in deed. Language granting sole bargaining rights became the pattern rather than the exception after this historic ruling. Don’t rewrite UAW history: Learn from it! Fast forward to today’s UAW website. There, one finds the outrageously false statement that “since its founding in 1935, the UAW has consistently developed innovative partnerships with employers.” The resolution that came out of the recent March Special Bargaining Convention states, “the German co-determination model shows how the workers’ voice encourages productivity” — more work from fewer workers — and “we can still negotiate for structures that fulfill the same function … as establishment-level works councils.” Establishing a works council at Volkswagen’s Chattanooga plant has been the cornerstone of the UAW’s organizing drive there. Today Ford, GM and Chrysler — all making record profits — as well as Volkswagen, are in no mood to give back to the workers a bigger share of the wealth we produce. But the pent-up anger of the workers who have seen real wages fall and been saddled with a divisive two-tier pay structure will not be easily contained in this contract year. Even some UAW officials are telling members “Save your money” in case of a strike. Every local should begin strike preparation meetings, and every member should be taught the real history of how union representation in the auto industry was won. Martha Grevatt is a 27-year UAW Chrysler worker. Note that all quotes from the Chrysler strike are from the March 11 and 12, 1937, issues of the Detroit Free Press.